Recently, the kind folks over at iClever sent me two of their multi-port USB Travel Wall Chargers with SmartID Technology to review. I received both the 3-port and 4-port versions. Both of these units are extremely well built and compact and truly do make a great travel charger. Neither of these devices come with a USB cable, so keep that in mind when considering these devices. Both devices have ports that light up with blue glow when the unit is plugged into the wall, which is a nice indicator that you are properly plugged in, as I had to use a bit of force to get them properly into my outlets. Power rating for the 3-port is 36W/7.2A and for the 4-port is 40W/8A. Both claim to have SmartID technology, where it will detect the device and provide the fastest charging possible. However I had mixed experience with this capability. My Nexus 6 took over 8 hours to charge from 0% to 100% and the screen even indicated that it was slow charging. My Nexus 6P tool 1 hour and 40 minutes to charge from 33% to 100%, much faster but there was no indication that it was charging fast. Regardless of the speeds, I felt both of these devices were well made and worth the current prices. Pick one up by clicking below. Every now and again purchased together. 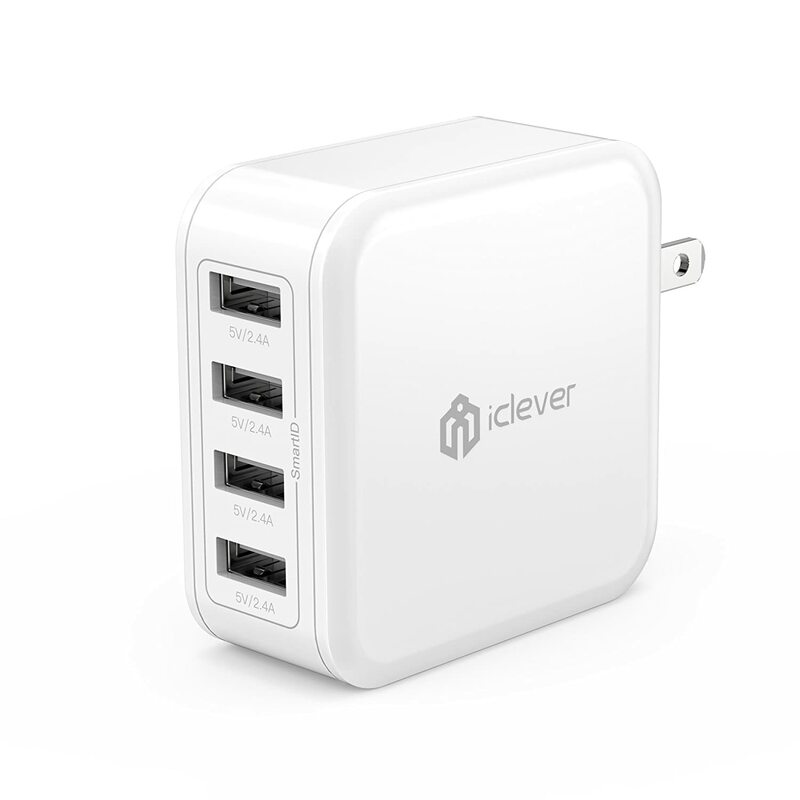 iClever BoostCube 60W 6 Port USB Wall Charger | Desktop Charger for iPhone X/8. +. 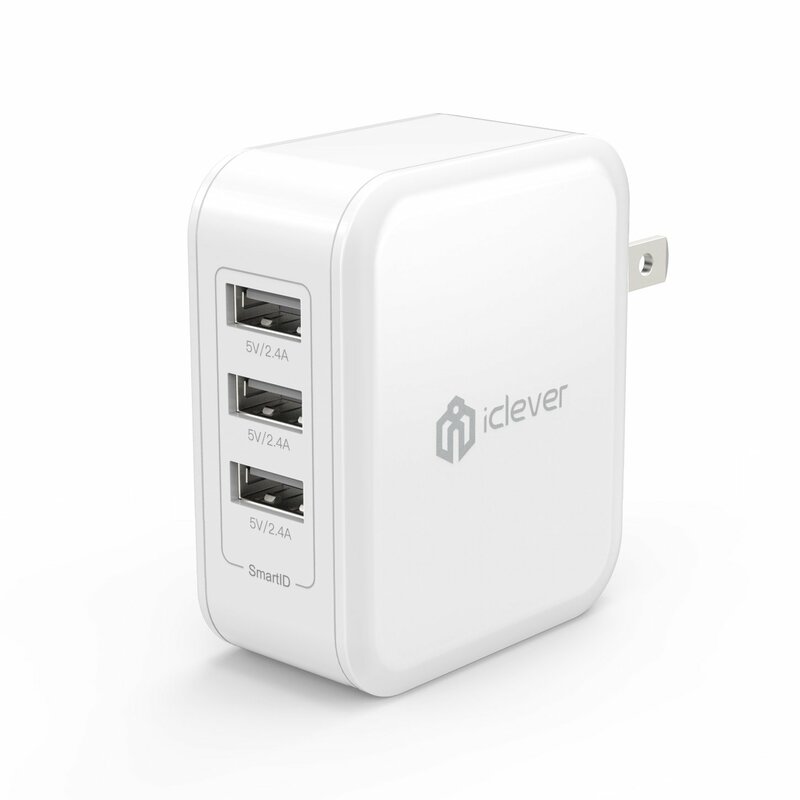 iClever BoostCube 40W 4-Port Universal USB Wall Charger with SmartID Technology, 8A Charging. +. 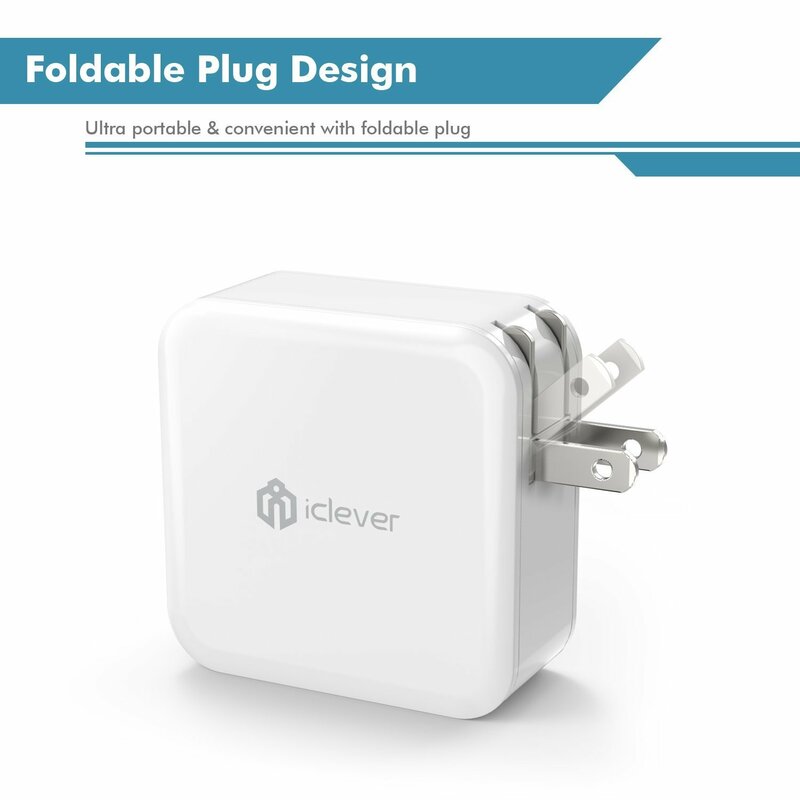 iClever BoostCube 4.8A 24W Dual USB Travel Wall Charger with SmartID Technology, Foldable Plug.